Am I the only one that does this? I never really researched it. And I know there are products for conditioning your brushes. I tend to avoid overspending in the art stores. I have this cheap hair wax that I bought. It feels waxy and oily. 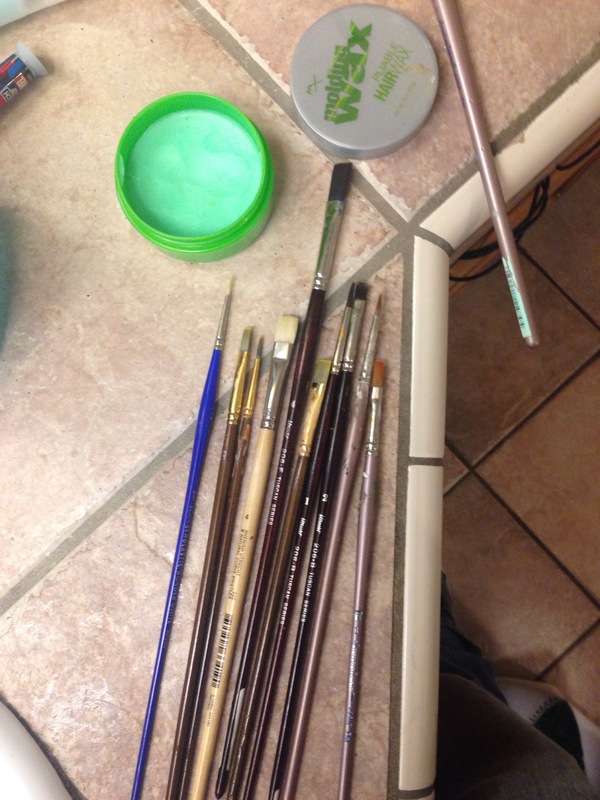 I think it’s the perfect stuff for reshaping my brushes and keeping them fresh. After cleaning them I occasionally give the bristles a light coating of this stuff. I would love to hear from you! Let me know if you have painting or art advice, or if you have any questions. Posted on June 25, 2015 by andrewhorvath85Posted in UncategorizedTagged art, artistricks, brushes, oilpaint, paintbrushes, painting, turpenoid.